A week long holiday in Vietnam had drawn to a close and I began to mentally prepare for the adjustment back to reality. On my flight from Hoi Chi Minh to Singapore I wondered how many emails would be waiting on my return to the office, whilst also calculating how much coffee I would need to get through them. Despite the dread of returning to work, I felt relaxed as I disembarked in Singapore ahead of my homebound flight. “Now to find my boarding gate” I thought. Changi airport was renowned for shopping so I was determined to know where I was headed before sampling the Chanel perfume in duty free. I squinted up at the departures screen. Singapore to Brisbane: Cancelled. I took my place in a line of business men and women, families with young kids, elderly couples and a group of travellers enroute to begin a tour in the land down under. The ground crew were visibly under the pump, their eyes fixed on their screen and fingers tapping away to find a solution. For me, it was an unexpected, two night stopover in Singapore. Although my Singapore stay was unexpected, it’s not uncommon for travellers to experience delays whilst transiting, particularly in Asia and the Middle East. In most cases, airlines will do their utmost to ensure there is little to no inconvenience to travellers and insurance providers are likely to cover any incurred expenses depending on your policy. While you can plan ahead, situations like this can catch you off guard. The majority of international airports have currency exchange facilities open 24 hours, however there are alternatives which keep you from losing money in multiple conversion and transaction fees. A travel card such as the Travel Money Nz Cash Passport allows customers to transfer funds for immediate access, aka the ultimate convenience. Aside from Australian Dollars, the Cash Passportalso holds USD, GBP, NZD, SGD, HKD, JPY and THB, making it a perfect option for travellers having a stopover in Asia on the way to or from Europe. If you're like me and also like to travel with a small amount of cash, keep an eye on exchange rates and organise your cash in store or online prior to travelling, to ensure you get as much bang-for-your-buck as you can. While my stay in Singapore was mostly taken care of by the airline, I was determined to make the most of my time. I exchanged whatever Vietnamese Dong I had left for Singapore Dollars and planned how I would spend the next 48 hours. And, in true Singapore fashion, I couldn't go past spending my first morning with a couple of famous locals. 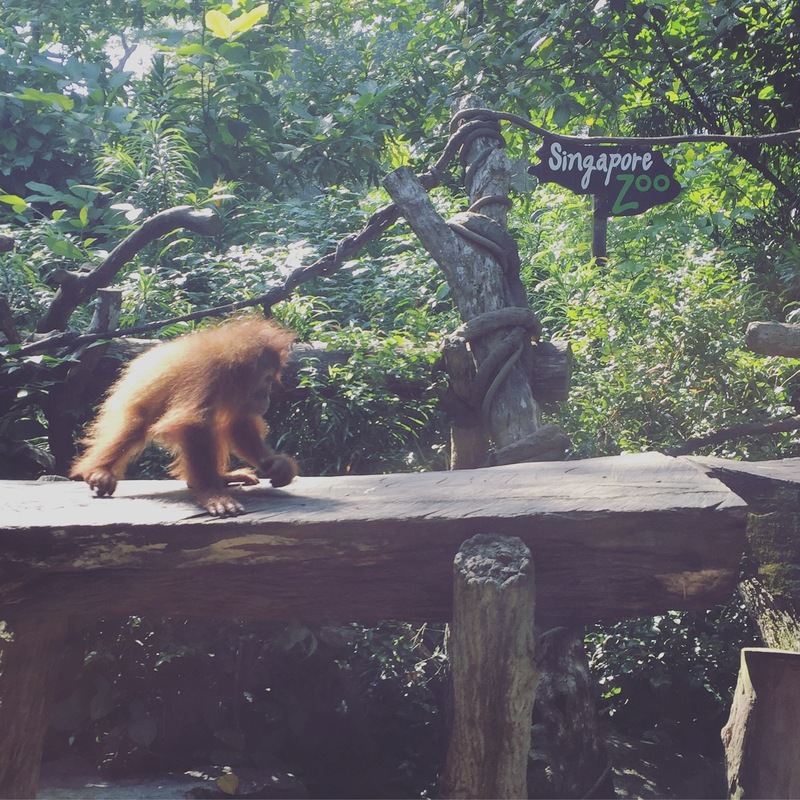 The gates to Singapore Zoo open early for holders of a Jungle Breakfast with Wildlife, where visitors have an opportunity to dine alongside the resident orangutans. Setting me back $35 SGD, the buffet breakfast allowed for a rare and close encounter with the animals prior to the park being opened to the rest of the public. While ticket holders are free to roam the Zoo at the conclusion of breakfast, I opted for the mid-morning bus back to town to escape the heat. And what better way to escape the humidity than indulging in a little retail therapy at ION Orchard. The multi award winning shopping precinct has everything you need from well-known luxury brands to local retailers. Since the centre is open until 10 pm, you can shop well into the night or move on; the choice is yours. For me, it was back to the hotel to put my feet up. The next morning, I took a cab to the Gardens by the Bay, which cost me around $18 SGD. 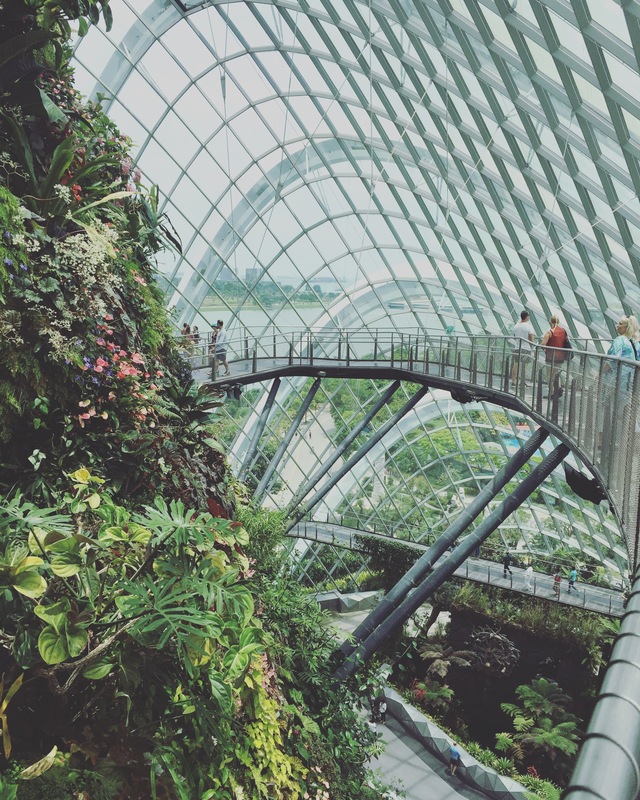 Gardens by the Bay is one of the most popular attractions in Singapore for couples, families, friends and singles. The standard rate to enter both conservatories is $28 SGD. While the gardens offer countless experiences, I was a little more pressed for time, so I opted for the two of the more popular features. The Cloud Forest, one of the two conservatories, features the world's tallest indoor waterfall and possibly the biggest orchids I've ever seen. I finished up at the gardens with a leisurely stroll on the OCBC Skyway, a 22-metre-high aerial walkway. While the Skyway offers panoramic views of the gardens and Marina Bay skyline, I can confirm that it's an opportune spot for a selfie. For a different perspective, I walked from the gardens to Marina Bay Sands, where I finished my exploration with a cocktail. While you can pay to visit the observation deck, the real views are up at Ce La Vi Restaurant and SkyBar. 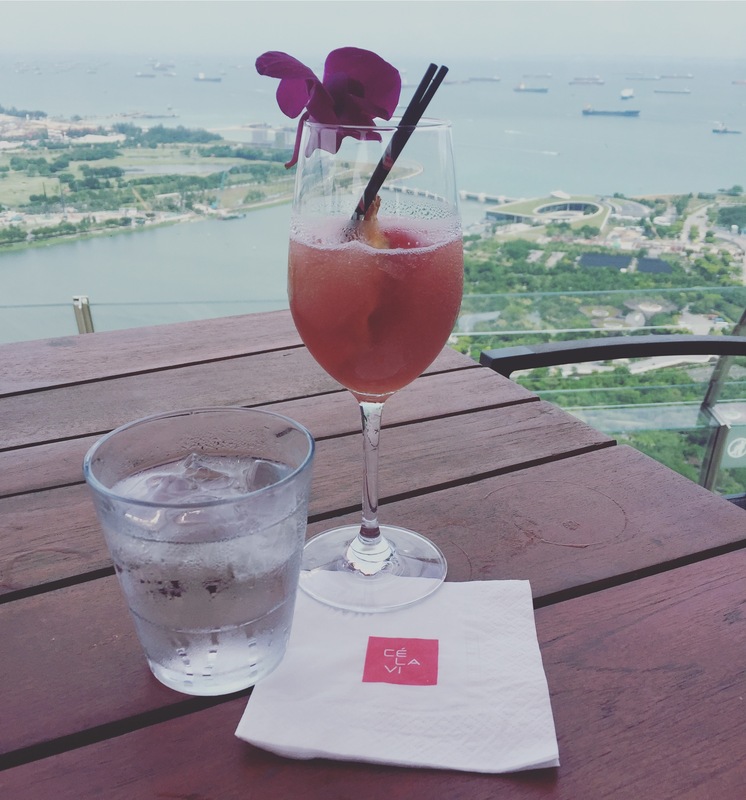 You'll have to purchase a $20 SGD food and beverage voucher to use up on level 57 but getting to sip a frozen cocktail while watching the sunset over the city is well worth it. A dusk or evening visit to Ce La Vi at Marina Bay Sands is highly recommended. And before I knew it, I was returning to Changi Airport for my flight home. It was a complete whirlwind trying to cram as many experiences as I could into 48 hours. Sure, it was an unexpected stopover, but thanks to a few preparations, it wasn't at all inconvenient. Need some advice on how to budget for both the expected and unexpected on your next holiday? See one of the experts in store a Travel Money Oz today. Flight Centre Travel Expert Sheridan Murphy doesn’t just love travel, she lives it. If you want to work in Canada, volunteer in Fiji, stay with monks in Mount Emei, fly along the New York skyline, ride a camel in Abu Dhabi, trek the Great Wall of China, cruise the South Pacific or be kissed by a Greek in Corfu (on both cheeks)... you want to book with Sheridan, who currently consults at Flight Centre Helensvale.